Jeremy is a real estate investor he left the corporate sector in 2007. That is when he moved out of the stock markets and into cash flow investments. Back then it wasn’t easy to find opportunities in real estate since most investments were private. To help investors, he co-founded FIBI (For Investors By Investors) a non-profit organization to network with like-minded investors. Since 2007, they have grown and now have several chapters throughout Southern California. Their core foundation is not in selling anything but simply focusing on educating in various aspects of real estate. Rick discusses how Sprott is a Canadian company that manages 11 billion in assets. They focus exclusively on natural resource investments. He has been in the business for forty years and experienced four market cycles. The resource business is very cyclical, and you have to be a contrarian investor if you are in this space. The recent bear market has been spectacular in which prices fell on average by sixty percent. The resource index for equities declined by 88%. We are currently coming out of that bear market. The more risk you take, the more reward you can gain, but you have to put there time and effort into it. Early bull market gains can be obtained by just buying the best companies. There is a difference between investment and speculation, and you need to figure out where you are as an investor. Adrian is President & CEO of Adrian Day Asset Management they personalize their investor’s holdings to meet their clients underlying needs. Different clients have different stocks with their firm, and for that reason, the performance will be different. They manage accounts globally and hold equities from around the world. They also invest in smaller market cap companies but are very careful with their due diligence. Many gold mining companies have written off billions of dollars in assets that were purchased at high prices. There are exceptions like Franco Nevada who held onto their funds and did a buying spree when prices were low. Many companies don’t work with the underlying financial cycles. There seems to be a direct correlation between management payroll and assets being written off. Collin is a founder of Palisade Global Investments Ltd. a company that is focused on the junior mining sector. He explains that junior miners are similar in many ways to new technology companies. Some of them become very successful in making new discoveries however many will fail. Larger mining companies need to replenish their in the ground assets and they often accomplish this by purchasing these smaller companies after they make discoveries. Currently, nearly every asset class in the world is at all-time highs. The only sector that is relatively depressed is the resource sector. This is the kind of sector where you can and should buy whenever prices are low. Buck Joffrey is a medical doctor, asset manager, and podcaster. He defines wealth as the freedom to do what you want with your time. His show is another tool that can help you create multiple streams of income that do not involve trading more of your time. He is a surgeon of neurosurgery, plastic surgery, and head/neck surgery until he retired from the field at 42. He started a podcast to teach highly educated professionals that are missing out on the means to capitalize on real wealth. There is a clear lack of education in this area. His podcast is an informational one and is focused on Accredited Investors. They discuss opportunities in tax mitigation and asset classes. His background is in entrepreneurship, and he says that while this is not for everyone there can be tremendous advantages. Moving to the passive side of the cash-flow quadrant by becoming a business investor can really bring benefits. The recent volatility in the stock market should NOT be a surprise if you have been following my warnings. If you didn't read the post please do so via this link. Perhaps if those geniuses on Wall Street where on my list, they would be more prepared and could advise their clients. An investor and/or any Financial Advisor "Must Be Able to See The Future Today". Otherwise, it's meaningless. 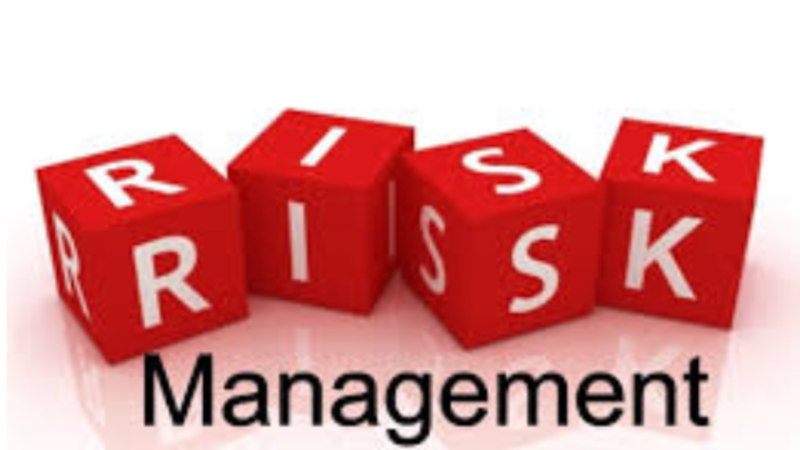 Therefore, I have consolidated my list of Risk Management Strategies which I have implemented over the last 12 to 24 months or so. Marcus New is the CEO of InvestX which allows accredited investors to participate in the late-stage of private businesses like Spotify, Dropbox, and Uber. One of the significant challenges is how does one get in on an IPO and more importantly can you invest early in a technology company. They typically invest in these companies three years before there initial IPO. They look for companies with growth, high revenue, and a global footprint. They can be in medical information, big data security, cloud computing and many others in the technology sector. So many people inquire how I am able to learn about an industry/asset class. One way is by attending the leading industry conferences. The dominate conference is that of Cambridge House International lead by Jay Martin. Therefore, while in Vancouver I was able to spend time with Jay to let him share more about his company and how you can benefit. Jay discusses how the Cambridge House company got started as the Diamond Investment Conference in 1993 by his father Joe Martin. He took over the reins from his father in 2010 and expanded the business during the Bear Market. His team works very hard to make things work in one of the worst markets. Their operation is very lean and efficient. This year they have 333 booths and companies in attendance at the Vancouver Conference. Today they have three different mining and investment conferences each year with one in San Francisco. They have technology conferences as well in Vancouver and Toronto. Reed Goossens founded RSN Property Group here in the US and has been hitting it out the ballpark. Reed compares the various real estate markets of the United States with his home country of Australia. He really encourages Americans to take advantage of the many opportunities that are available to those in the United States. He has focused on second-tier properties in cities where there are strong demographics and productivity. These are places like Texas, North Carolina, and parts of Arizona. He has a background in structural engineering and project management which has helped him build a successful business. He is involved in several significant apartment building acquisitions. They look for properties that have been well maintained and held for long periods of time in areas with strong demand. They want 90% occupancy and buildings that can get good financing options through Freddie and Fannie. Gena introduces three amazing men from Lancaster, Pa. They are Peter Zook, Marcus Zook, and Matt Byler. They are all investors in several asset classes and successfully run businesses. Peter is in the storage and garage manufacturing business, and he works with his four brothers and his father. They each have different roles in the company and various investing strategies. He works in the dispatching and permits side of the business where he coordinates with customers. As an investor, he invests in real estate and junior mining. Mark works in the office with the family. His primary source of income is from the business. He takes that money and invests in real estate for the tax benefits. He likes the junior mining space as the real estate market is pretty hot. He is also excited about the crypto space.